How will you balance the roles of business owner and mother? Would you like wisdom from women who’ve been there? Here’s something you already know. When you become a mother, you want flexibility. You want to be there for your baby, and you want results in your business. You want to make good money, and to make a difference. All over the globe, women are taking control by starting their own businesses - businesses that (they hope) will grow around the needs of their babies. If you are ready to combine entrepreneurship with the rewards of motherhood, let this book show you how to do it with love, grace, business smarts and pizazz. 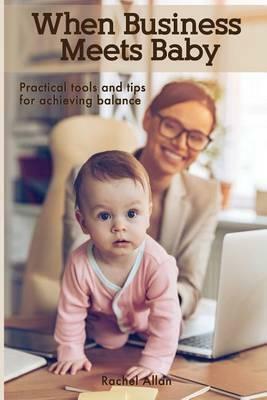 This practical guide shares the advice of successful entrepreneur Rachel Allan, parenting and self-care experts, and women just like you who have worked out the shortcuts to success. You’ll discover how to: take beautiful care of your baby, your business and yourself in an intuitive way set up supportive systems that free your time and help you feel relaxed and in control enjoy the experience of being a truly present mother and a successful business owner You don’t need to do it alone, and it doesn’t have to be complicated. You can do this! You truly can achieve balance - and this book will show you how.